It's time for a piece of news that's certain to make everyone feel a little bit older: first released in Japan on February 27, 1996, the original Pokémon games on Nintendo's classic Game Boy portable have turned 21 years old today. In Japan, the games were called Pocket Monsters Aka and Midori (or, alternatively, Pokémon Red Version and Green Version), and they didn't reach North American shores until two and a half years later on September 30, 1998. The namesake collectible card game launched in Japan just eight months after the original video games, but didn't reach North America until 1999. Twitter users in Japan have taken to the internet in celebration, making use of hasthag #ポケモン21周年 (which translates to Pokémon's 21st Anniversary) as well as #Pokemonday to share some of their favorite memories and original works. Many of these posts are heartfelt and nostalgic, making them definitely worth a look. 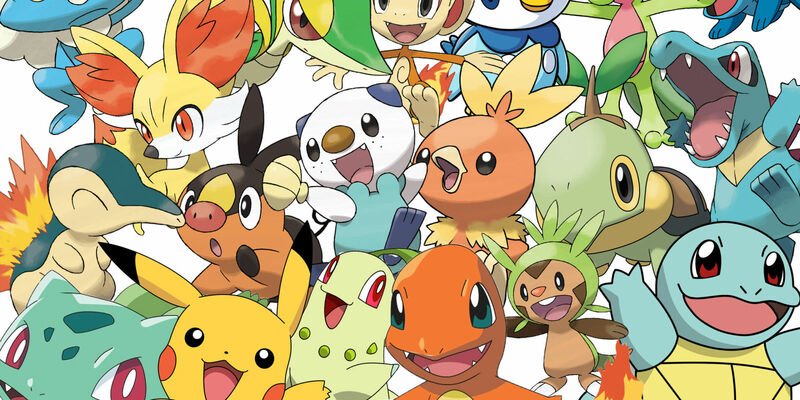 It didn't take Nintendo long to realize how big of a hit Pokémon would turn out to be, and by now fans of the series have been treated to seven distinct generations of Pokémon as well as a slew of spin-offs, merchandise, and most recently, the breakout mobile title Pokémon Go. It'd be hard to predict how the series may evolve from here, but one thing is for sure: Pokémon isn't leaving anytime soon.